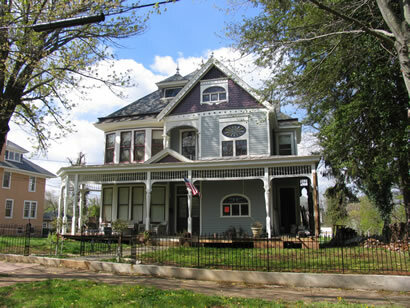 This house was built in 1894 for drug store owner C.H.S. Snead. Compare the smaller scale of this Queen Anne with those on Madison Street. The architect was E.G. Frye.